If Pranking is Your Religion, Then Try These Witty Dishes @ Prankster in GGN! If pranking is your religion ( just like us) then you’ll be happy to know that the culinary king of pranking has arrived, and it’s got us raving about it since it sprang up. Their menu boasts of novel and highly innovative dishes that are pranks in themselves! No, we’re not kidding (or are we?). Read on to know what we’re talking about! Yes, you read that right. 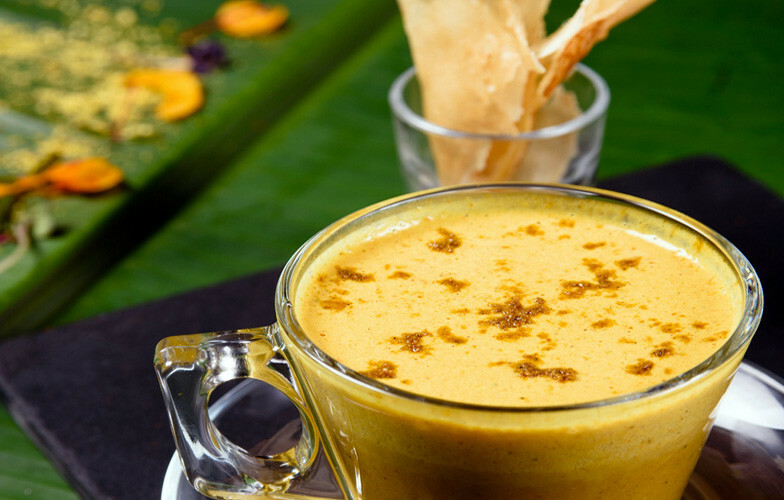 The term Sambhar Cappuccino may sound a bit squeamish, but we’re here to tell you that it looks super tempting. Unlike the usual sambhar, this one isn’t runny but instead thick, just the way you like your cappuccino! And to make it even better, they serve it with Dosa Biscuits. Woah! If you love dahi bhallas, ice creams and innovation, then well, this is the one for you! 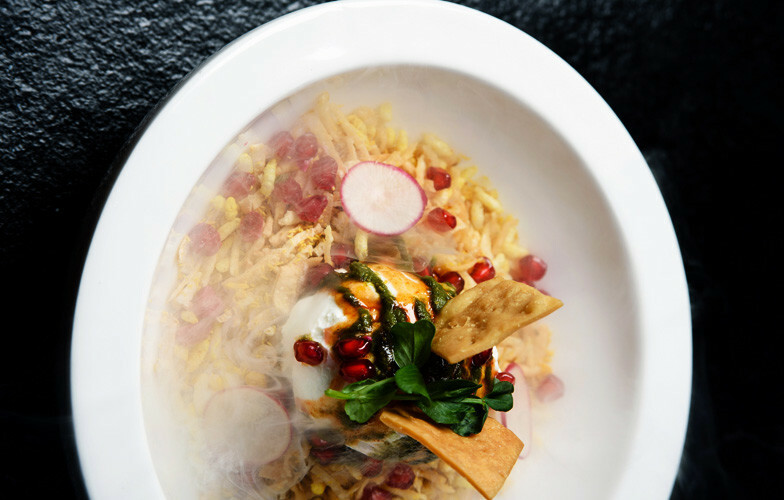 Giving the traditional dish a futuristic spin of their own, they’ve come up with an amazing dahi bhalla dish which tastes like ice cream while retaining its usual sweet and sour taste. To top it all, they use crispy rumali sprinkles - awesome! We know pizzas are love, but they can often get very heavy to eat and digest. Hence, to turn the tables, Prankster has introduced Egyptian pizzas, and they’ve got us salivating already. 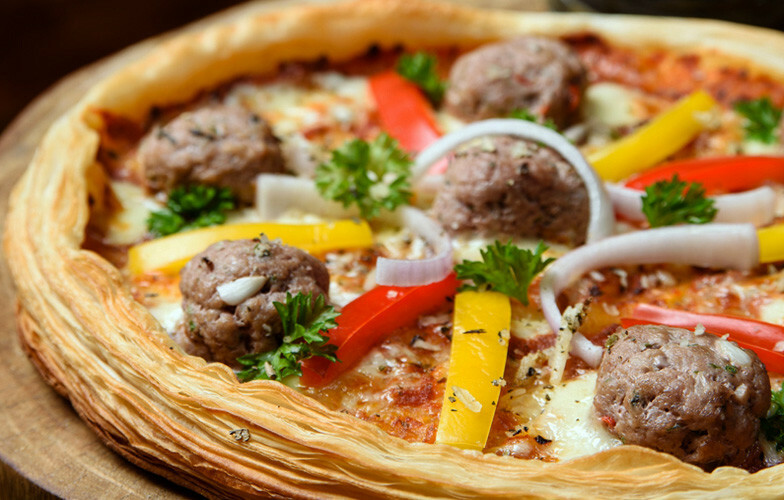 The catch is that these pizzas, often known as Fattirs, are pizzas made on a puff pastry, which makes ‘em lighter and easier to digest. Go try! Prankster believes that not all tikkas have to be savoury, and hence invented Litchi Tikka! The sweet, juicy and delectable fruit is mingled with a bevy of nuts and khoya, and sounds just awesome. 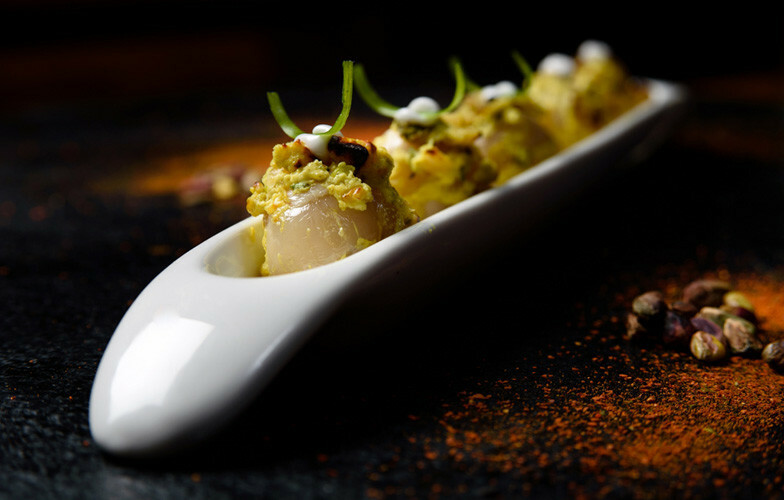 Stuffed with nuts and khoya, it goes into the tandoor and is served with delectable pistachio shavings. Enticed already? Head over and gorge on this meetha kebab! 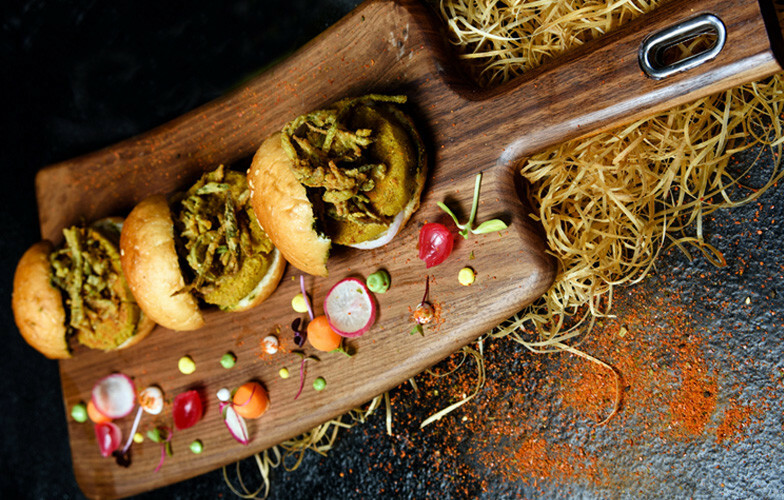 Dissing the usual pav bhaji, Prankster has come up with a futuristic and novel new pav bhaji concept and it has blown us away already. So instead of bhaji, they make a bhaji patty that goes inside the pav bun, with a lip smacking chutney and cheese slice. And we’ve heard their major prank lies in their presentation. Curious much? Head over! Did you ever love your sweet dishes so much that you wanted to eat your plate with ‘em? Well, Prankster gives you the opportunity to do exactly this and mind you, there’s much more to it. When here, you can customize your pudding with ingredients like berries & nuts, watch it cook live in front of you and eat the plate too (as it’s made of chocolate, yum!). We’re tempted already and heading there right away. See you there?